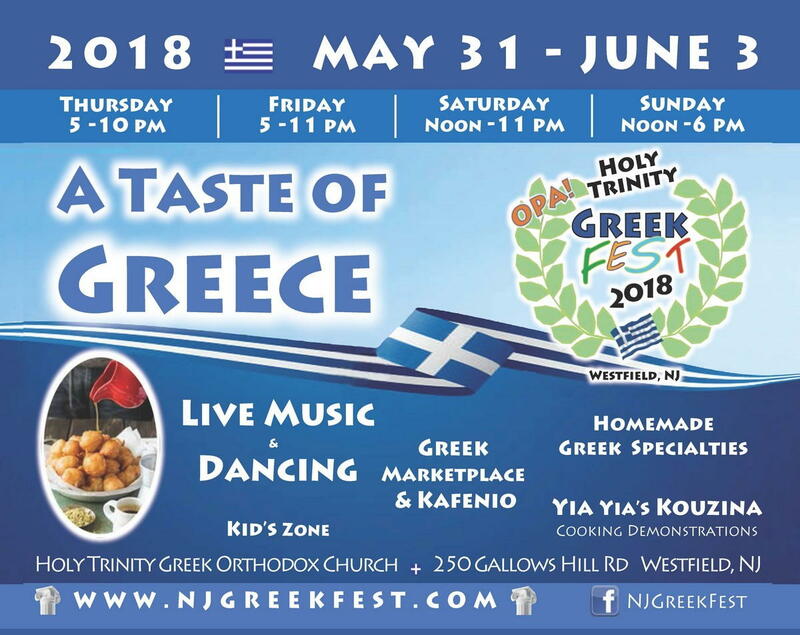 If you’re looking for something fun to do, Holy Trinity Greek Orthodox Church in Westfield is hosting their annual GreekFest. There will be Greek food, Greek dancing, a kids zone, vendors, cooking demos, wine tasting, and lots more. Come visit us from Thursday, May 31st at 5pm to Sunday, June 3rd at 250 Gallows Hill Road. Come for a great time. And remember, everyone can be Greek for a day at GreekFest! For more info, go to NJGreekfest.com that’s NJGreekfest.com.